I've been using the Trico Classic series and have been very happy with them. Those look way, way better than what was on there before. My car has the factory original blades and I just replace the inserts. Thanks ...when I bought it I didn't realize at first that it had blades of two different lengths, but once I saw that it did, it was time to fix it. The aftermarket ones were just to "hold me over" until I could get OEMs. Where do you find them? I did some hunting and pecking a few years ago and couldn't find a single vendor online or around here. At OReilly's auto parts. I think Amazon and RA has them too. 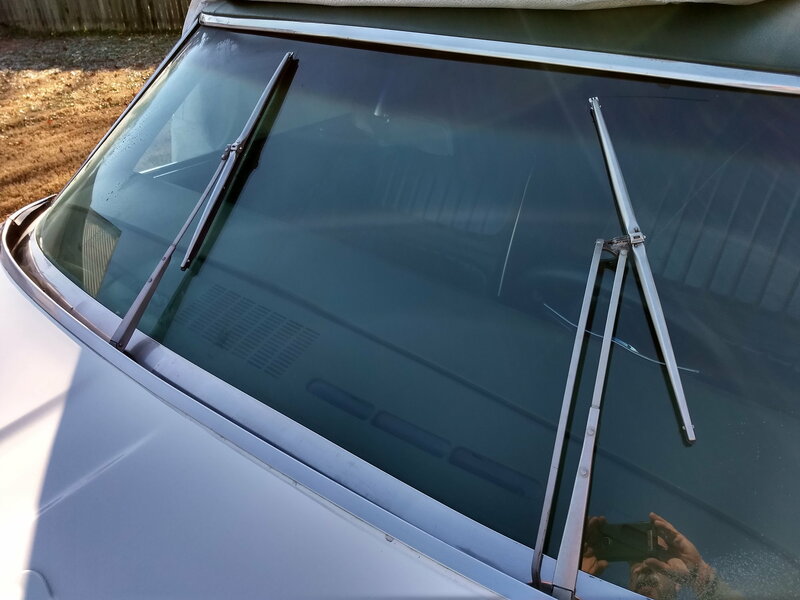 Got the Trico classics stainless wipers at Rock Auto several years ago. The old beast never sees rain, so not sure if they work. They look good though. Check with Nick (442crzy) here on the forum...that's where I got mine. Dave, you're really getting there with your commitment to putting it back to stock. 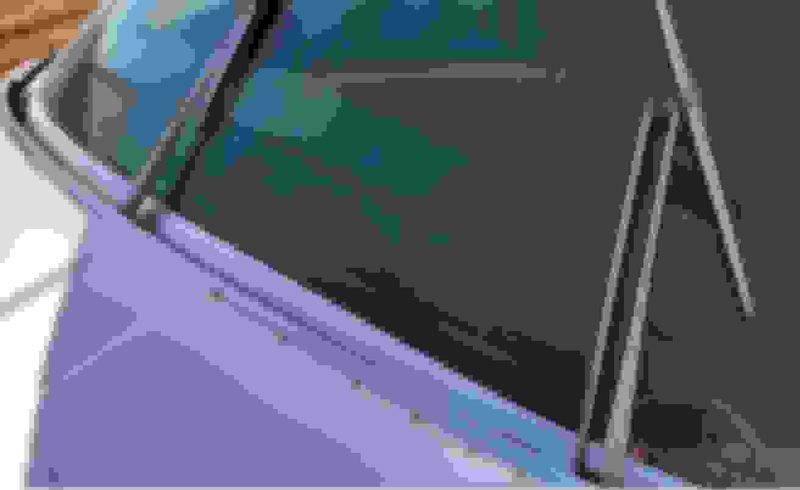 I noticed in your picture that you need to tap the cowl stainless back into position on the hood. Use a rubber mallet and gently start from the middle and work toward the drivers side. 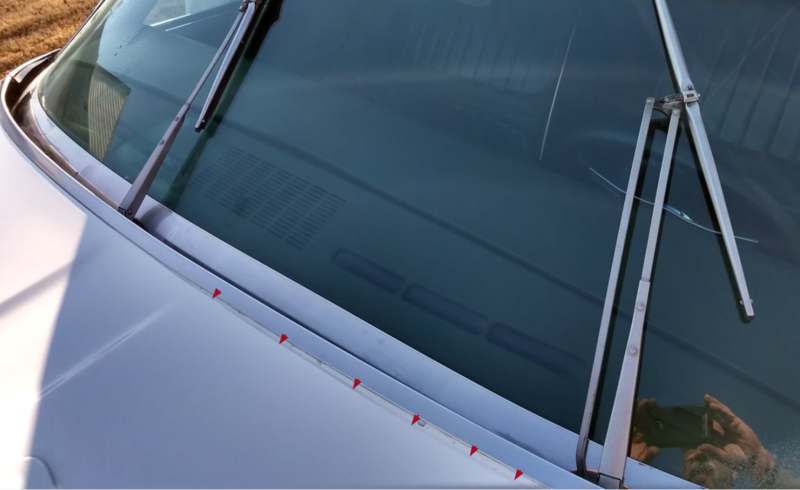 This is a friction fit piece so shouldn't be too hard and can be done easily with the hood closed. Hey Allan thanks for the encouragement...I have really been enjoying "tinkering" with it here and there. IRT the cowl trim, I just went out and tried to tap it into place but it doesn't seem to wanna go down as far as it should. I got it to move a little, but not all the way...will revisit when I do the work on the front. 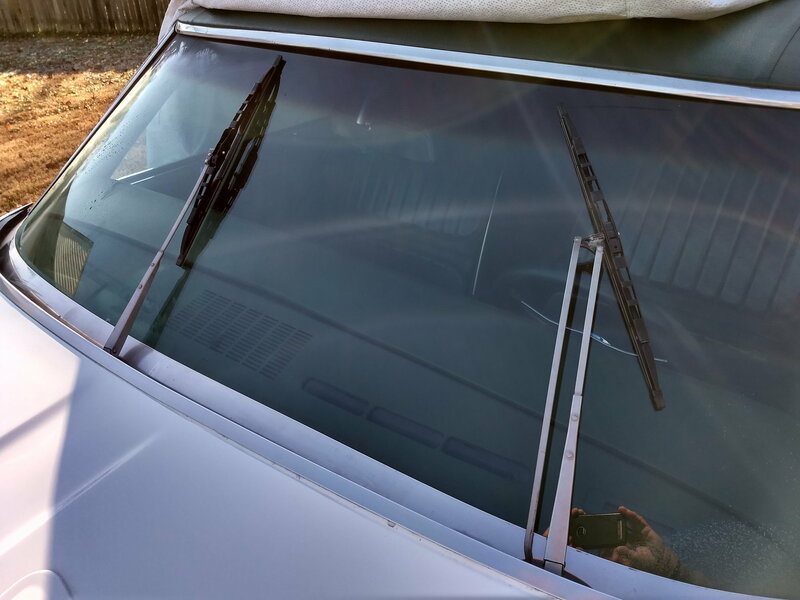 Newer Style Replacement Wiper Blades?